The Val di Chiana takes its name from the name of canal that allowed the reclamation from swampy lake to productive land to cultivate. 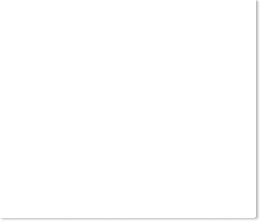 Home of the famous "White Beast", a Chianina cattle that has been selected in this valley as a working animal. The Church of Rigutino in Rigutino is an old church built around in year 1000 AD. You can reach it in a short walk from the farm. The medieval village of Etruscan origin, 7 km from the farm Il Cipresso will surprise you with its narrow streets full of history, its churches and its magnificent view. ...a real Tuscan Experience ! Cooking classes for small groups, from farm to table ! Admire the Tuscan countryside riding a horse starting from the Farm! a really exciting experience in contact with nature. How do we make Vinsanto? A history of 10 years, starting from the collection of white grapes in September and proceeding with the slow drying of the grapes ..... until the final product! Why not to come and make a unique experience for the opening of the Caratelli (kegs)! The selling point of our company, where you can purchase products and taste wine, oil, meats, cheeses and much more.